PT Bank Negara Indonesia (Persero) Tbk – BNI (IDX:BBNI) or referred to as “Bank BNI” a trusted and reliable state-owned financial services companies in Indonesia. The Company has core business competencies on general banking industry. Headquartered in Jakarta, the Company offers a wide range of banking services; personal banking, priority banking, business banking, international banking and treasury. As a state-owned company, PT Bank Negara Indonesia (Persero) Tbk is majority owned by the Government of Indonesia Indonesia. 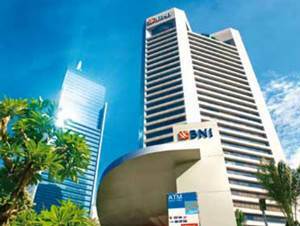 To date, Bank BNI is 60% owned by the Government of Indonesia and 40% by public. The Bank’s operations are divided into 17 regions. As of December 2016, these regions gave the bank a total of 196 branch offices, 948 sub branch offices, 623 cash offices, 96 mobile services, 17,056 ATMs spread across Indonesia. Bank BNI also supported by 8 overseas offices; BNI Singapore, BNI Hong Kong, BNI Tokyo, BNI Osaka, BNI London, BNI New York, BNI Seoul and BNI Yangoon.